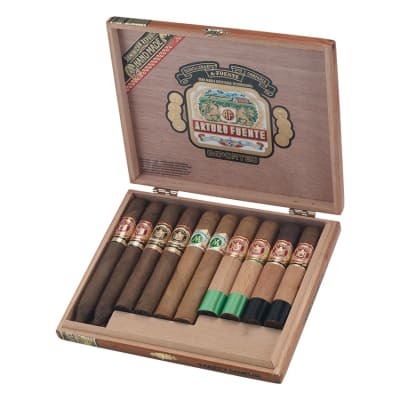 It's like smokin' a little Fuente Family history when you light-up the six fine cigars in this affordably-priced sampler. 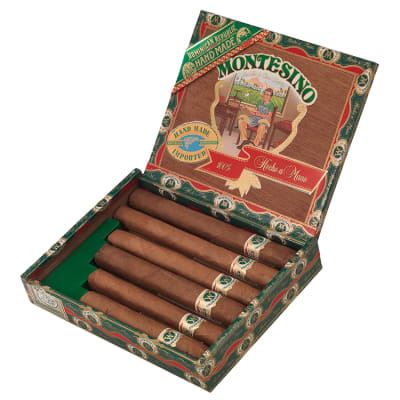 Born in 1980, when Carlos Fuente began making cigars in the DR, Montesino cigars offer you a consistently rich, medium-bodied smoke - and this set tells the whole story. Everything about this is just great. 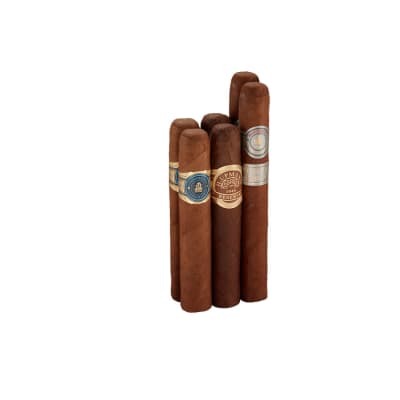 Flavor, burn, ash, creamy smoke, even burn, and great taste. I have only smoked 1 of these. It was a tasty well balanced smoke. 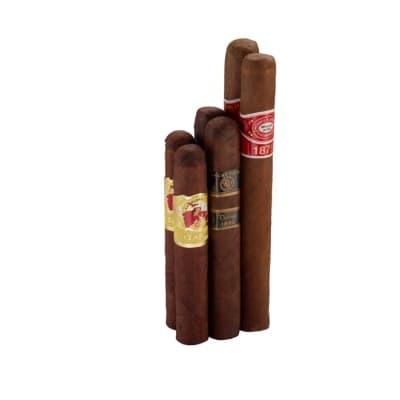 I am, admittedly, one of those who are typically skeptical when it comes to obscure or unknown cigar labels. When I saw these sticks were made at the AF tabaclera I knew it made for a low risk purchase. 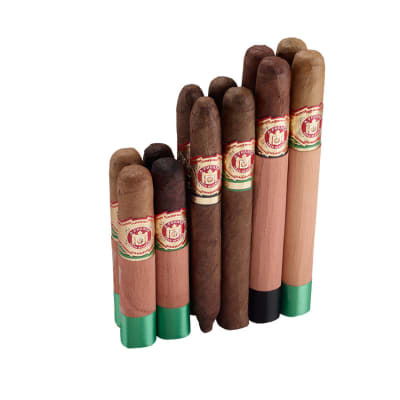 It did not disappoint: the easy draw, even burn, firm ash and smooth, mellow taste are a testament to AF workmanship and use of quality tobacco. Definitely the makings for a low cost, daily puro - you could do far worse.